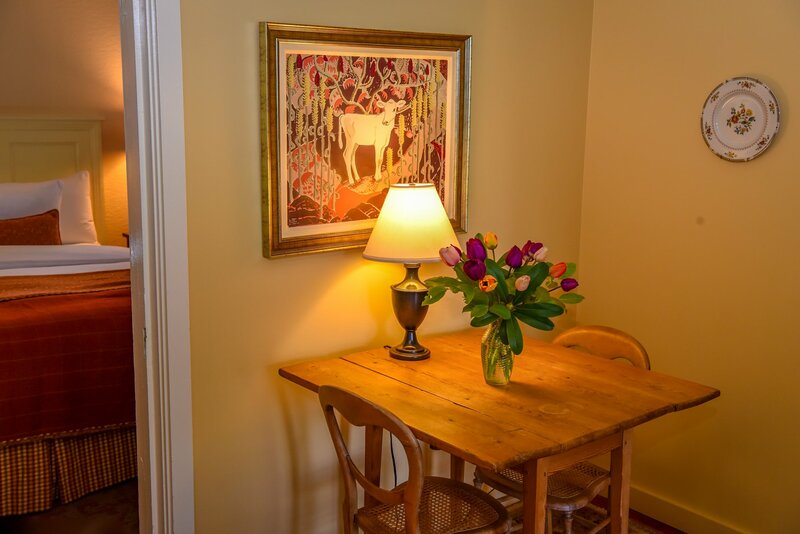 Enjoy a private deck with a view to the harbour. 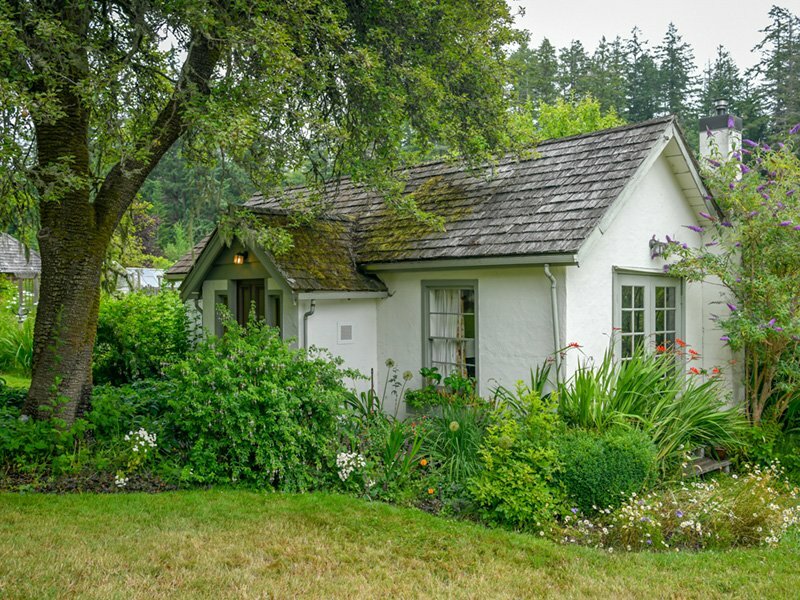 The Post Cottage was so-named because it was the original Hudson’s Bay Trading Post on Salt Spring Island. It was moved from its original location where the Manor now stands, to a quiet area in the gardens, under a large heritage pear tree. 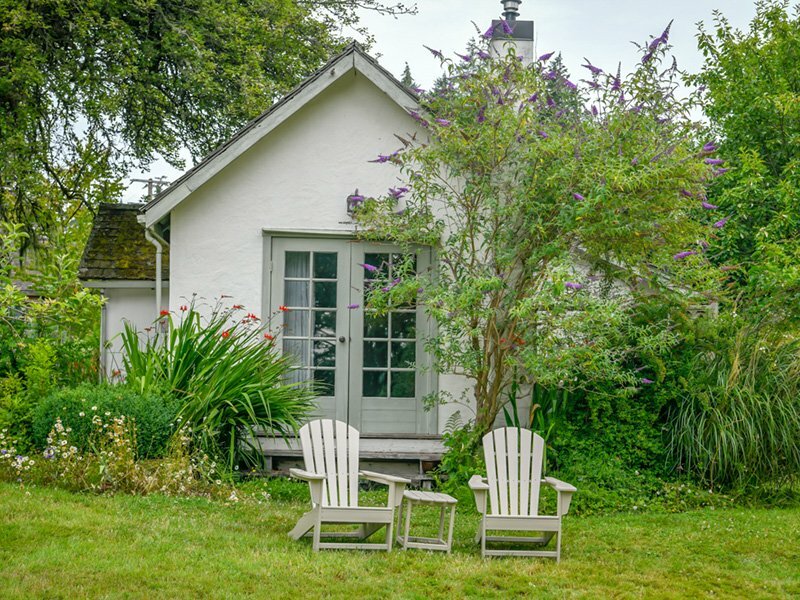 This very charming garden cottage is a favorite for honeymooners and others who enjoy the quiet and privacy it affords. French doors open to spacious lawns and an ocean view. 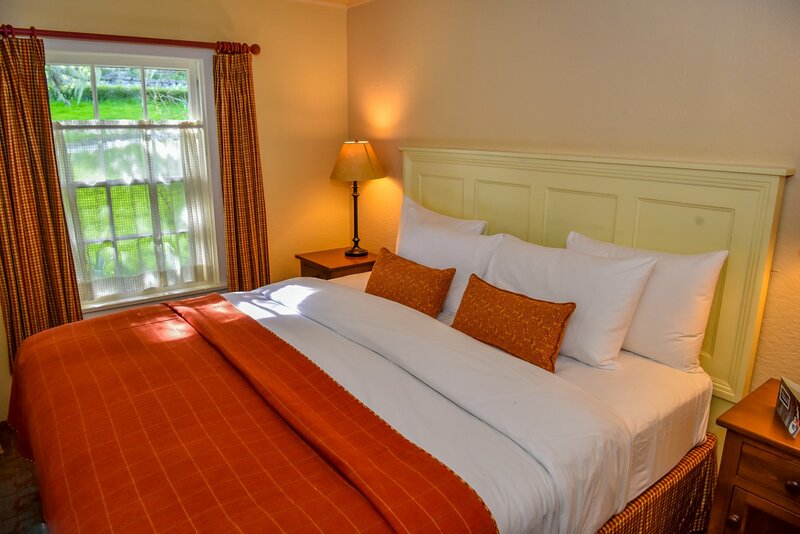 The charming interior features a sitting room with gas stove, deep soaking tub, and a king size bed.